Before Jaina left to study with the Kirin Tor and before Arthas returned to Lordaeron, they had a budding romance that was outlined in the supplemental novel Arthas: Rise of the Lich King. They were childhood friends due to them both being in the noble class, who after some time apart during their teen years reconnected when they were 19 at the ceremony in which Arthas was inducted into the Knights of the Silver Hand. They continued their courtship through their 20s with some minor interference from Kael’Thas and the constant threat of Zul’Aman troll warbands, but Arthas ended the relationship suddenly when he decided they were not ready to marry, leaving Jaina in Dalaran with her studies and him to his kingdom for a while. 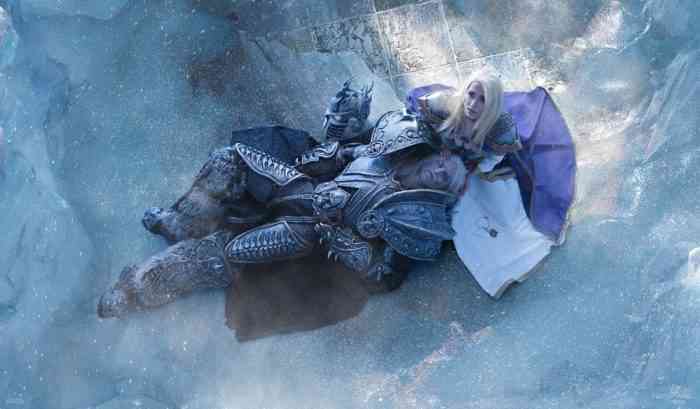 Time passed and as the couple began to rekindle their romance after some time apart, the scourge began to invade Lordaeron, which began the path to the events that would ultimately corrupt Arthas forever and make him the Lich King. Their tragic love is dark and cruel, and it is something from which Jaina never recovered. Even in watching Arthas fall, her heart broke, and so did ours as we played along. 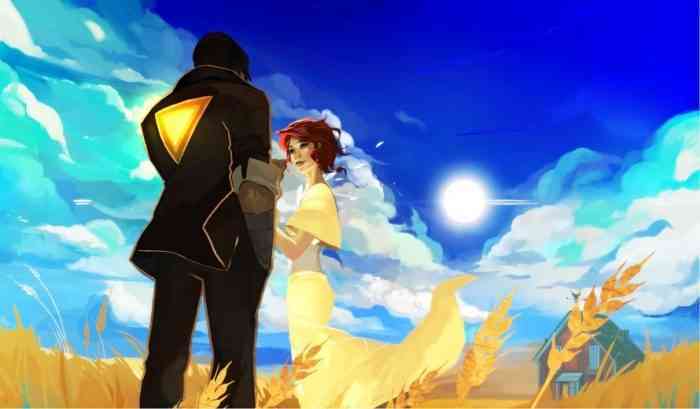 Everything about Transistor is brutally haunting. It is the story of Red, a singer whose voice was taken from her by her political enemies, and the sword that killed her bodyguard and lover, Mr. Nobody (Also called Unknown, Auden, Boxer, Blue, and Subject not Found in various locations throughout the game). His soul now haunts the circuits of the weapon she carries. He narrates their story, her inner thoughts, and our fears about her fate. Her obvious affection for him we only come to know of after we meet his corpse at the very start of the game, but his returned affection is sprinkled throughout their interactions and his loving affirmations. It’s hard not to fall in love with him, even as just an entity, and Red spends her entire revenge plot weeding out everyone in the Camerata that had a hand in his death, no matter how minuscule. Then, ultimately, she kills herself so her consciousness can live within the Transistor sword, in their own world together, forever. 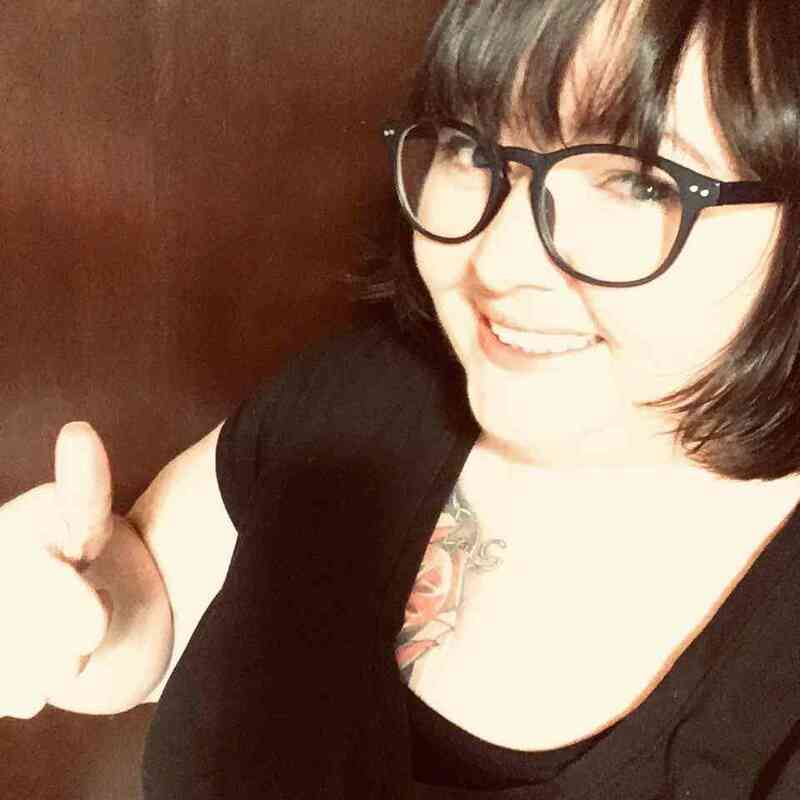 She is a romantic creature who craves human connection in a world that is becoming increasingly isolated and technologically motivated, and you help her try and destroy Cloudbank over and over again. For love. It all starts with a pair of shorts. The Mayor of Pelican Town is missing his shorts and you have to find them somewhere in the town and when you do, they are in the bedroom of the Ranch Owner, Marnie. And they said they were just friends! As you play through, you learn more. 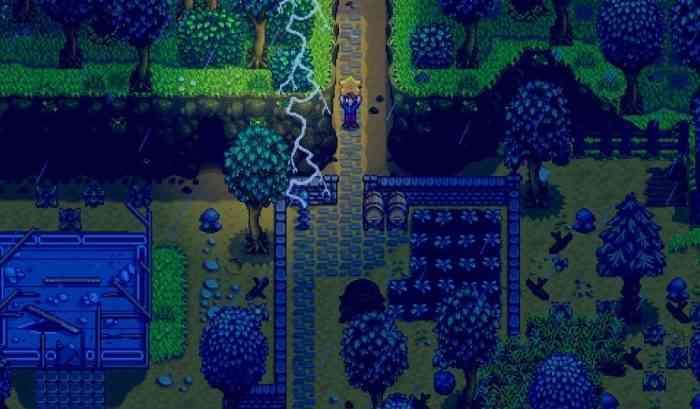 Stardew Valley isn’t just a hipster dream paradise about earning gold through farming, foraging, and craft beer. It’s also about unlocking the secrets of the town, the greatest of which can be discovered when you accidentally shake that bush by the bridge and Marnie and the Mayor jump out, caught like teenagers in the night! Their elderly romance is something to aspire to and worth a spot on this list. The feud between the Battle-Born and Grey-Mane clans are a central flavor to Skyrim’s main plot and their feud is so classically Shakespearean, which makes the secret note passing between Olfina Gray-Mane and Jon Battle-Born so juicy and star-crossed. The Battle-Borns remain loyal to the Empire while the Gray-Manes have supported the Stormcloaks since the Civil War, but before that, they were thick as thieves. Despite the polarity of their clans, Olfina and Jon find ways to sneak off, and as a player, if you pay attention, you can catch them in the act from time to time. While the story isn’t as fleshed out as it could be, the content provided to support the story and the dialogue indicating that the two youths of the clan find the feud to be silly have caused the community to speculate on what might’ve been. Well there you have it – 10 video game couples that show romance is very much alive, even if it happens to be with fictional characters on a glowing screen. What do you think? Which video game couples stand out for you as great examples of romance? Let us know in the comments section!